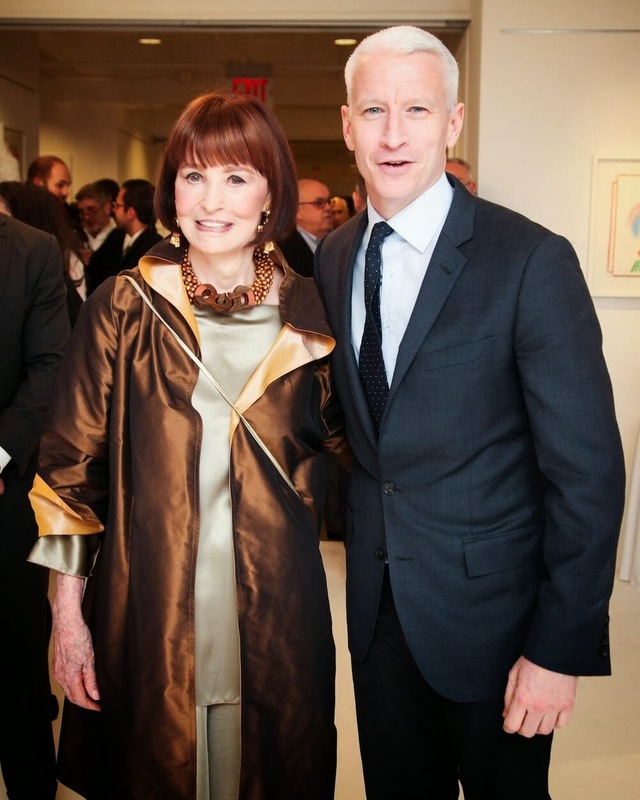 Anderson Cooper Attends His Mom's New Art Show: Gloria Vanderbilt's "The Left Hand Is The Dreamer"
Anderson tweeted the above and a little research turned up some more photos and a couple of articles. 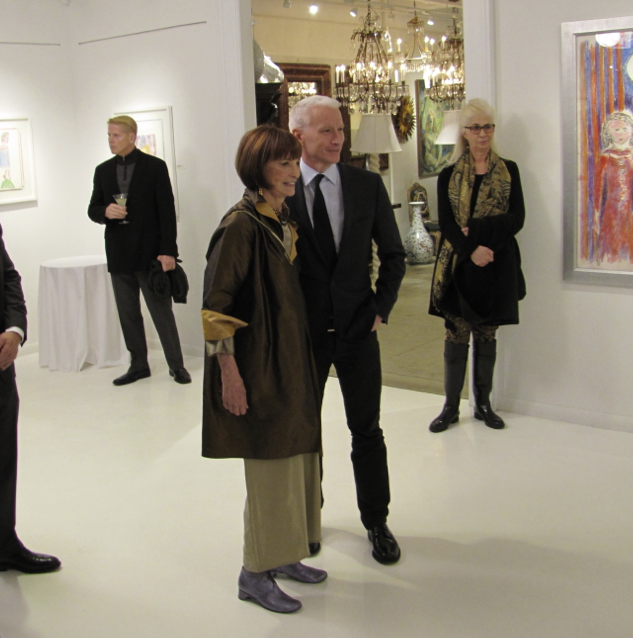 It seems Gloria has been busy putting together a new art collection and last night was the preview of her gallery show at 1stDibs. You may read more about Gloria's paintings and also purchase them by visiting 1stDibs.com Click here to see her recent paintings, and here to read a 5 question introspective. 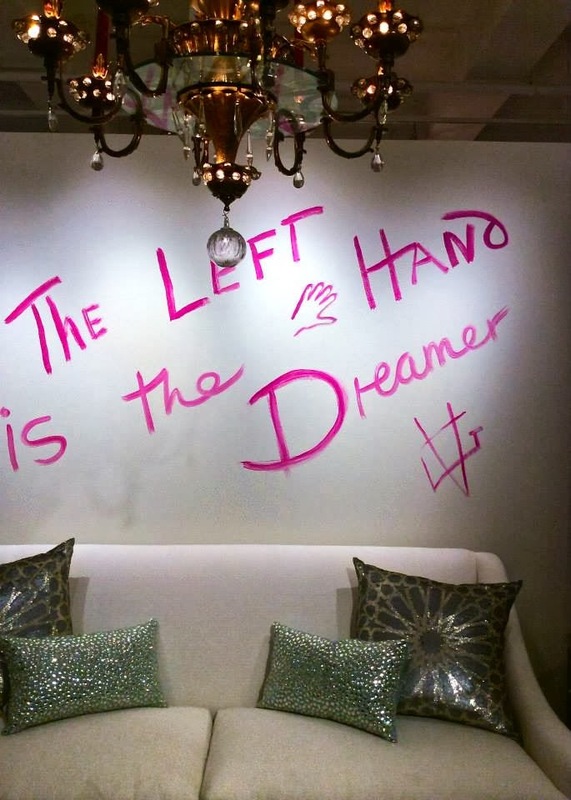 Gloria Vanderbilt’s Unstoppable Art The 90 year-old on being in love and a new sale of her work. 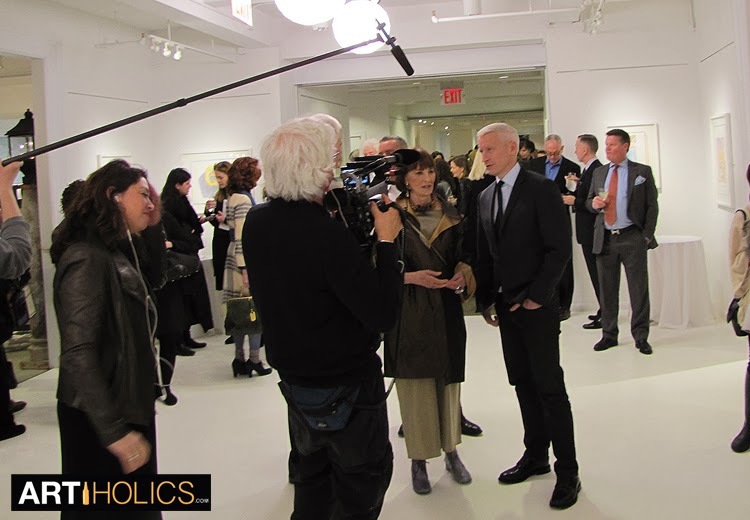 Cameras Rolled last night as Anderson Cooper and a packed house of New York Who’s Who perused Gloria Vanderbilt‘s new solo art exhibition of works in gouach, collage, and pastel titled THE LEFT HAND is the DREAMER at 1stdibs Gallery in midtown. Anderson Cooper Interviews Spike Lee About "Gentrification" & Wednesday's "The RidicuList"
Anderson tweeted Saturday night that he was in Spartanburg, SC on assignment for 60 Minutes. By Sunday afternoon social media was a buzz with sightings and photos and later an article explaining why appeared. A sample of the photos. More can be found in the goupstate.com gallery by clicking here and others were posted to Wofford College's Facebook page. 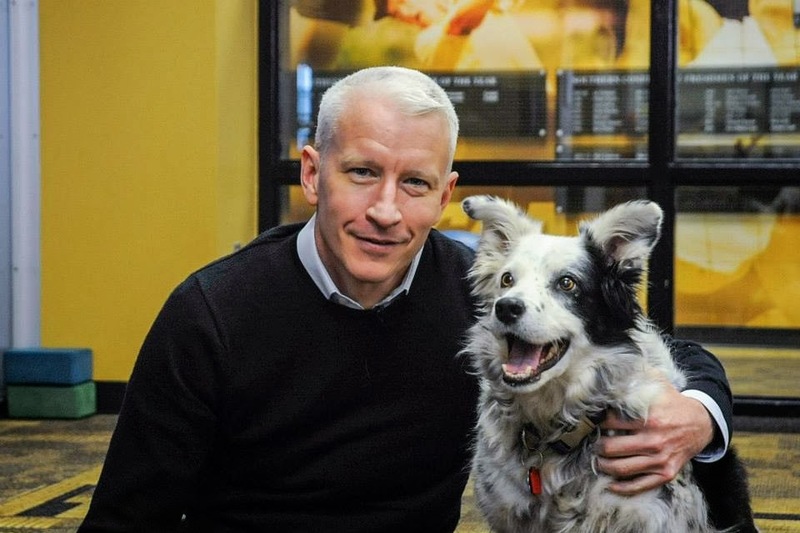 Two celebrities showed up at Wofford College Sunday — one a well-known national TV journalist and the other, a tail-wagging, toy-catching border collie known for her large vocabulary. 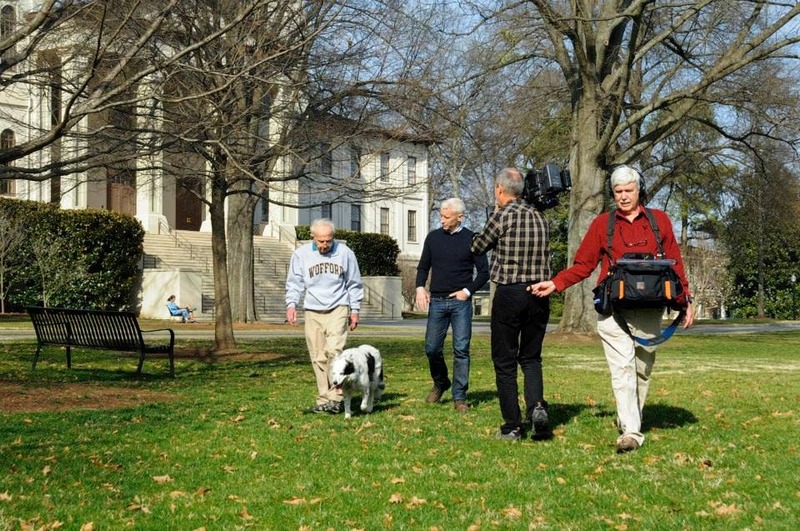 Anderson Cooper came to campus to interview retired Wofford College psychology professor, Dr. John Pilley, about his remarkable border collie, Chaser, for a “60 Minutes” segment. Chaser became a media sensation almost three years ago, shortly after Pilley and research partner Alliston Reid, a professor of psychology at Wofford and one of Pilley's former students, had their findings published in a leading scientific journal. Soon, Chaser was making national television appearances, and her story was being told in newspapers and magazines all over the world. 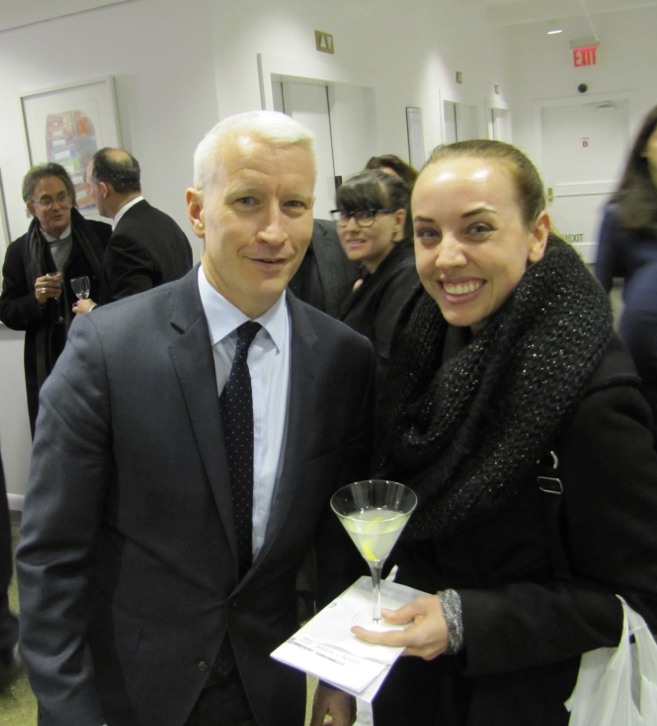 Such popularity caught Cooper's eye. The owner of a Welsh springer spaniel himself, it didn't take long for Cooper to bond with Chaser, Wofford spokeswoman Laura Corbin said. 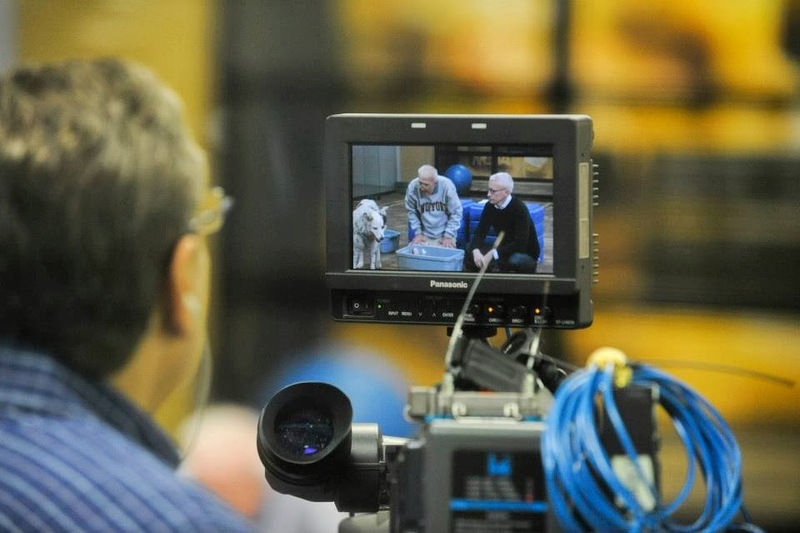 Part of the interview was filmed in the Richardson Building fitness center. Pilley, who is in his 80s, still works out at the center and often goes there to train Chaser, who is well known to the students. 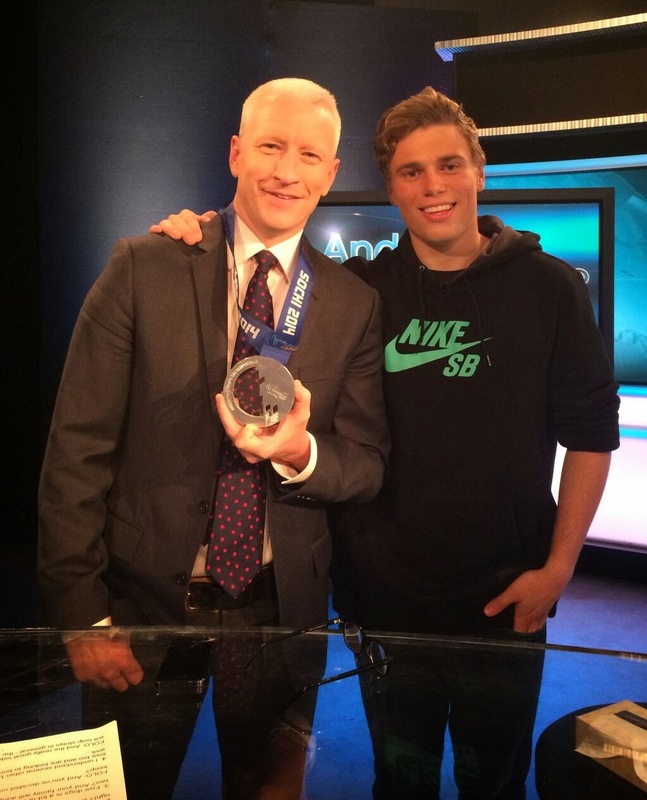 “Anderson just came in and laid down on the floor and started loving on Chaser,” Corbin said. A special toy created in Cooper's likeness was made for the TV segment. Chaser saw it for the first time Sunday, and it was used to demonstrate how she learns new vocabulary and is able to discern the difference between different objects through words. “She almost bit its head off,” Cooper said, with a smile. 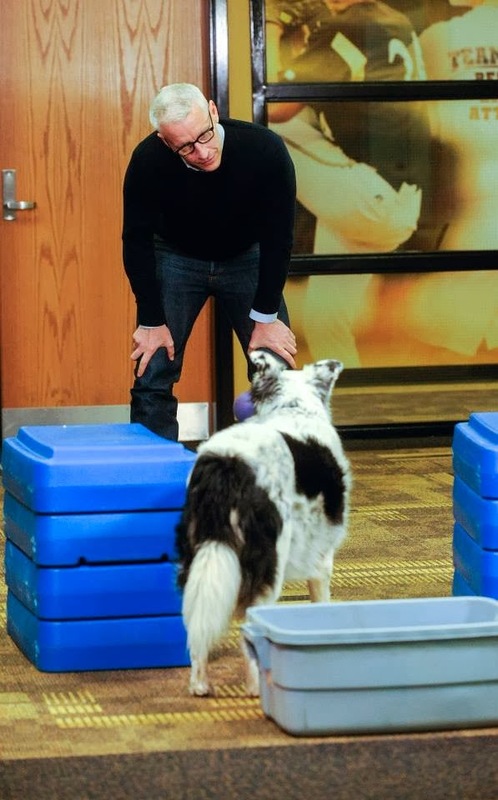 Chaser obviously felt at home at the center, sometimes leaving the exercise room where the filming was being done to play fetch with a favorite blue rubber ball and wag her tail, going from student to student until she found someone willing to toss the ball. While Pilley was on camera with Cooper, Chaser lay at her owner's feet, relaxed but with ears cocked, ready to spring into action if someone touched the ball near Pilley's toes. Word traveled quickly via social media throughout the campus, and a few dozen students turned out to get a glimpse of Cooper at the fitness center. A couple students stood in the group and read text books while waiting for Cooper to finish the interview. Others took photos of him with their cellphones. 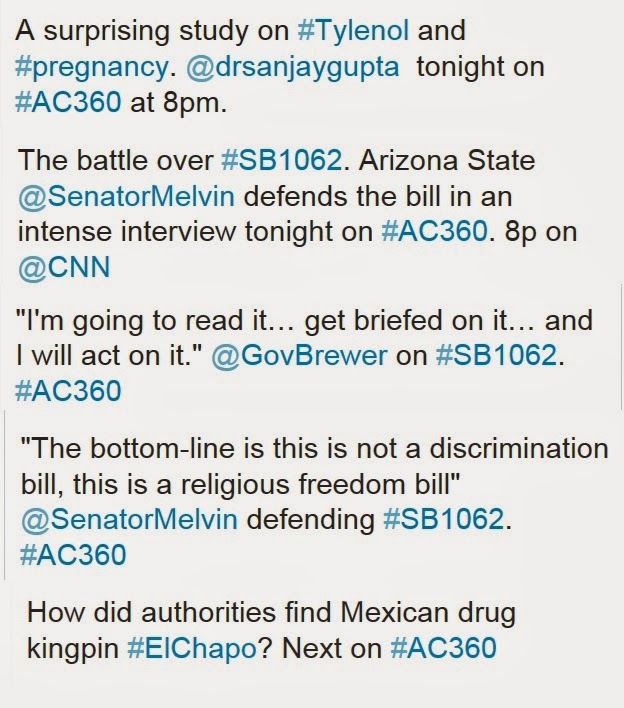 Cooper himself got the buzz started, tweeting Saturday night that he was in Spartanburg and had just eaten a Big Mac. That set off responses with Spartanburg residents suggesting other local eateries, such as Willy Taco, Mon Amie, Wade's and Cribb's Kitchen. Freshman Jordan Bolds-Lockwood admitted that he should have been studying for English and physics classes while staked out hoping to get a photo op with Cooper. Freshman Mitchell Saum, who recently created his own company, Swell Shades, to sell floating bamboo sunglasses, also waited for Cooper and presented him with a pair of glasses. Wofford president, Dr. Nayef Samhat, also stopped by, dressed casually in Wofford fleece and jeans, with his wife, Prema. “We're going to try to say hello,” Samhat said. 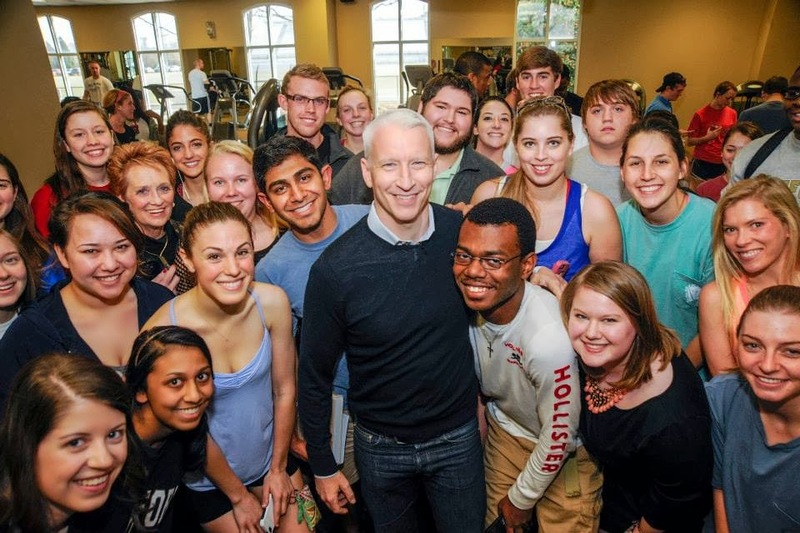 Cooper later emerged from the exercise room and graciously posed for photos with every student who requested one. Cooper said Spartanburg was good to him, and he thanked Samhat for allowing him and the crew to spend the day at Wofford. Pilley's day began at 5 a.m., with the TV crew showing up at his house about 7 a.m. to start filming there. He had retired by 8 p.m., but his daughter, Deb, said when reached by phone Sunday night that Cooper had read her father's book, “Chaser: Unlocking the Genius of the Dog Who Knows a Thousand Words” and was greatly interested in Pilley's research. Five years ago Neeson’s wife died in a skiing accident, leaving him to raise two sons alone. 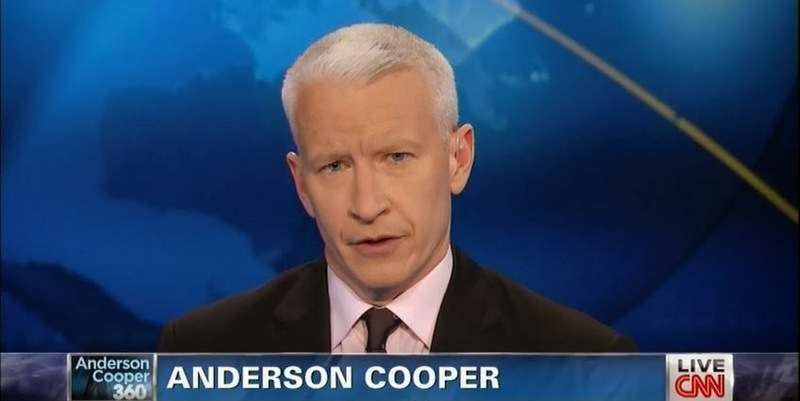 He has said very little about her death publicly until his interview with Cooper. ....“Dealing with grief, dealing with loss-- there is power in hearing how other people have dealt with it and power in hearing how other people have faced it and live with it,” says Cooper.